You have done your utmost to prepare yourself for the big day.The race has been long and you have come very close to the finishing line.You have poured all your energies in meticulously planning for your exam, studied exhaustively and done countless revisions. The last thing you want now is to ruin your exam performance by any careless slip-up. Be it the Graduate Record Examination, Scholastic Aptitude Test, Graduate Management Aptitude Test or the Test of English as a Foreign Language, cracking the entrance exam is perhaps the most stressful part of your study abroad preparations. How do you make sure you follow the right strategy? The worst mistake one makes is engaging in crazy cramming sessions a day prior to the exam.The last few hours before the exam is perfect to organise your thoughts and mentally catalogue everything you have learnt so far.Last minute study does you more harm than good as your brain needs some time to assimilate fresh information and reproduce it at the right time.Moreover your short term memory gets blocked with new information and obstructs long term memory recalls. Your brain needs to unwind just as your body does.This helps in enhancing your focus, attention span and information retention. Taking mock tests a day before the exam can be counter-productive.The last 48 hours are not suitable for gathering new information; rather it is time to consolidate the information already gathered. You might have already acquainted yourself with the test format but it is always a good idea to refresh your memory.Understanding the exam pattern helps you priorities and strategies what questions to attempt first.It will help you to be mentally prepared and forestall probable test comprehension glitches. 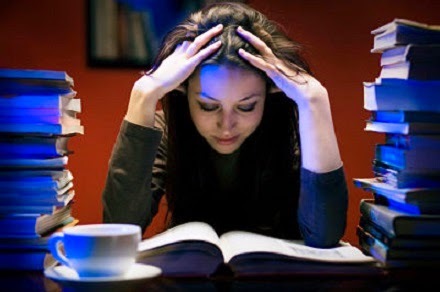 In order to regulate your sleep-wake cycles, you ought to lay out a healthy sleep plan and religiously stick to it at least a week prior to your exam.Your mind needs to be fresh, alert and at peace on the exam day.Hence, make sure you retire to bed early the previous night.Taking unnecessary stress can lead to mental exhaustion and deplete your physical energy level as well.Just take a chill pill and do not let fatigue get the better of you. Remember to carry your duly signed legal photo ID, admission ticket and additional clothing to the test center. Carrying an extra layer can come handy as the temperature at the center may be lower than what your body is accustomed to.You obviously do not want the temperature to affect your concentration and performance, do you?